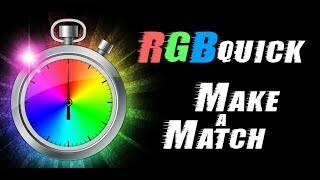 RGBquick is a fast paced challenge against the clock to match a target color by modifying a randomly generated color's Red, Green & Blue components. You have under one minute to solve the RGBquick puzzle with the puzzle's score being based on speed, accuracy of color and gameplay difficulty level. 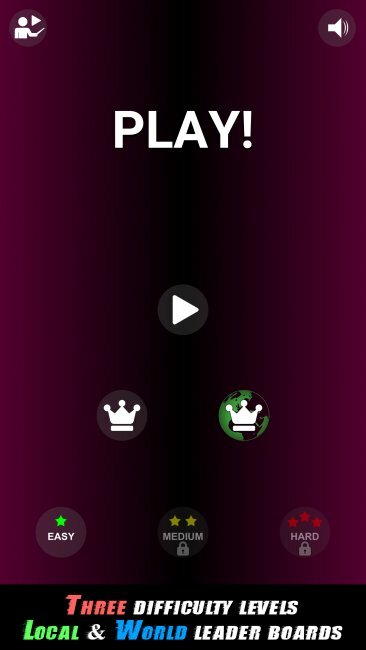 The fastest you tap the 'complete' button with the most accurate color match and the highest gameplay difficulty level, the higher you score. Challenge family & friends to beat your High Score or compete against the very best by scoring high and leaving your name for posterity on one of the three (easy/medium/hard) world TOP-10000 leaderboards! There are three challenging difficulty levels to RGBquick. In easy, the target color, current RGB value, actual color these RGB values represent and a color match percentage to the target color are displayed. With all this information, making a match should be easy, right? (the answer is no, color theory is not straight forward to a lot of people). In medium, only the target color, current RGB value and the actual color these RGB values represent are displayed. Without seeing the match percentage, making a color match is a lot difficult, you must truly have a skill for color theory. In hard, only the target color and current RGB value are displayed, requiring you to mentally envision what RGB color values represent. To make a match at this difficulty level, you must have a masterful control over color theory, the ability to mentally imagine how a series of numbers representing millions of color combinations can translate into a single specific color. While RGBquick is a fun game to play, it is also a brain teaser and the perfect educational game to teach you about color theory, an important skill for anyone aspiring to work in graphic design. Having mastered the game, you will easily be able to discern the true structure of color and extend this knowledge to real life scenarios. Redone some of the background graphics to give a more polished look to the game.